The contemporary curved design of our Optima lounge furniture benefits from the elegant pairing of the classic Oak wood and subtle Truffle painted finish. 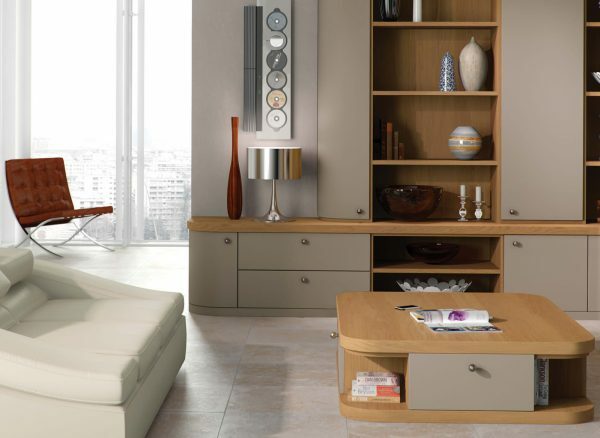 These timeless shades give this bespoke lounge an understated charm that you’ll completely adore. 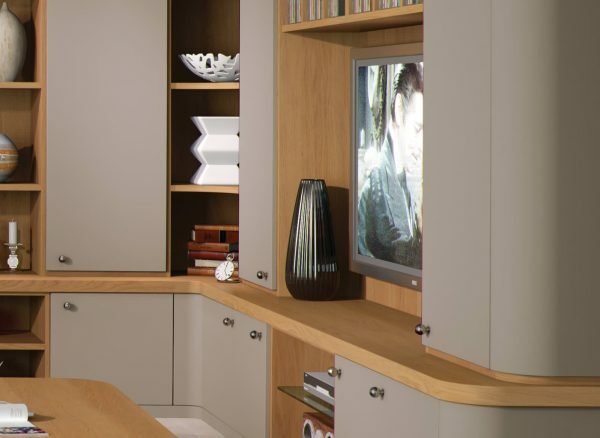 We will meticulously hand craft your contemporary furniture to fit around your lifestyle, including seamlessly integrated technology, impressive display units and a matching coffee table to tie your room together. 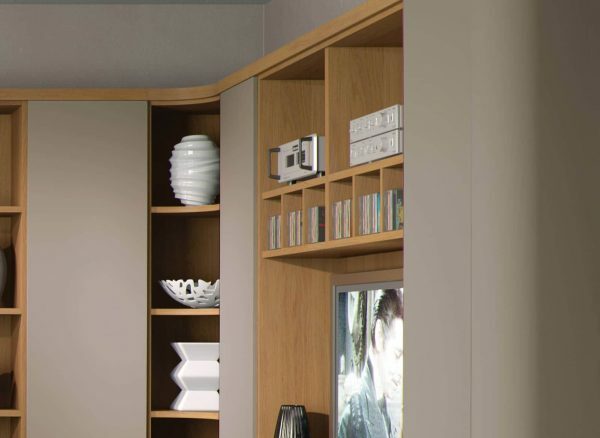 Often, entertainment is the focal point of your lounge setting, which means it's only appropriate to have a dedicated area for your TV. 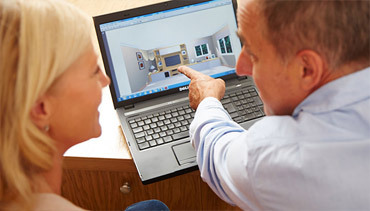 We can precisely measure and install furniture that beautifully frames your screen, while keeping wires hidden discreetly behind for an uninterrupted viewing experience. 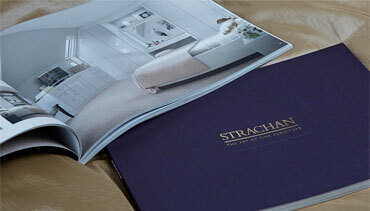 Store and display your movie or music collection in your bespoke Strachan lounge. 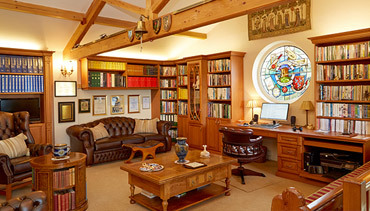 We can create overhead shelving, which sits above your screen area for a simple and pleasing aesthetic.